I was really psyched to get this recent Op-Ed piece I wrote picked up by the multi-award winning NYC weekly, The Villager. April is National Volunteer Month and, as someone who is devoted to serving the arts and my community, I thought it was a good time to encourage people to take a little break from their Twitter feeds, and consider getting out there and doing something more truly hands-on. Hope my piece inspires you to do some giving back in your community! Speaker Corey Johnson Speaks to Me! 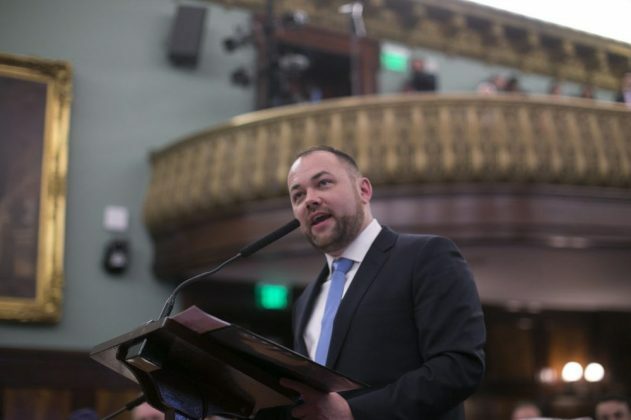 It was hard to pin down this mover and shaker -- and dancer -- but after doing a bit of my own hustle, I got my long sought after interview for The Clyde Fitch Report with the indefatigable New York Council Speaker Corey Johnson. ​A fast-rising star in local NYC politics, Johnson had a lot to say about the state our country is in and what he thinks America can -- and should -- ultimately be. "Great moments in activism come from desperate times. We’re in one of those times now, and I hope everyone will join me in taking up the fight, because it’s too important not to." To read more about what's on Johnson's mind and what he hopes to accomplish, please check out this candid profile here.